03/20/2019 We are now accepting submissions for Management Consulting Services. See Bids/Solicitations section for more information. 01/11/2019 We are now accepting submissions for Riverside Fencing Project. See Bids/Solicitations section for more information. THESE ARE NOW CLOSED. 11/26/2018 Now accepting applicants for the position of Procurement Assistant. See the Employment section for more information. 9/30/2018 We are now accepting submissions for Grounds Maintenance and Pest Control Services. See Bids/Solicitations section for more information. THESE ARE NOW CLOSED. 9/10/2018 We are now accepting submissions for Electrical Services Maintenance. See Bids/Solicitations section for more information. THIS IS NOW CLOSED. 5/10/2018 Please be advised that CFR 965.651 Subpart G sets forth requirements for smoke free Public Housing. Public Housing Authorities (PHAs) that administer the public housing program "MUST" adopt and "IMPLEMENT" smoke free policies by July 30th, 2018. See attached document for details. 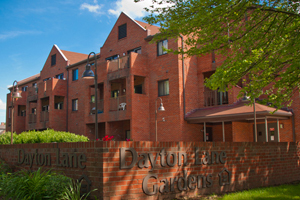 The Butler Metropolitan Housing Authority (BMHA) has been serving the citizens of Butler County for over 70 years by providing affordable rental housing to low and moderate income persons.